The deliberate “reintroduction” of aggressive gray wolves is causing conflict between environmentalists and multiple-use conservationists and changing how residents interact with their own surroundings. In 1995 and early 1996, 35 Canadian gray wolves were released into central Idaho on the orders of U.S. Fish and Wildlife Service Director Jamie Clark. They did, however, multiply well beyond the director’s wildest dreams, fulfilling predictions — and fears — of many Idaho natives, including ranchers and hunters who had fought the intrusion of the federal government’s will into what many believed to be the state’s domain: the management of its fish and game. On Sept. 3, 2002, ABC’s Peter Jennings, during his In Search of America Special, asked then-Idaho Gov. Dirk Kempthorne why he was opposed to the reintroduction in the first place. The justification for the move to import Canadian gray wolves came from the powers of the Endangered Species Act (ESA) of 1973, which gave the USFWS and the National Marine Fisheries Service responsibility for its administration. “What has always heretofore been a state matter was federalized by the Endangered Species Act,” said former USFWS wildlife biologist Jim Beers, now retired in Virginia. The ESA was amended in 1982 to allow the “reintroduction” of experimental populations into their historic ranges, and this was the justification used for the USFWS’s actions in 1995 and 1996. The ESA was given teeth, too, not unlike the wolf it seeks to protect. Violators of the Endangered Species Act are subjected to fines of up to $100,000 and one year’s imprisonment. Currently, the Idaho Department of Fish and Game and the USFWS estimate more than 800 wolves descended from the original 35 Canadian imports in Idaho, but the Idaho Anti-Wolf Coalition believes that is a “low ball” figure — that it’s at least 1,075 or more — based on a study done at the University of Idaho by graduate student Jay Smith. Smith looked at population studies elsewhere that peg wolf increases from 34 percent to 36 percent annually. “Wolf numbers are purposely and routinely underestimated to make association with growing depredations and game animal disappearances all but impossible,” Beers said. Originally, the wolf was to be delisted — meaning that its ESA status would be changed from “Endangered” to “Threatened” — when the population grew to 10 breeding pairs or around 100 wolves in Idaho. Wolf advocates successfully delayed this process, giving the wolf population more time to expand and grow. On Jan. 29 this year, USFWS announced its proposal to delist gray wolves in Idaho and other areas in the northern Rockies. Special interest groups like Defenders of Wildlife (DoW), the Sierra Club and others responded with a howl. By 2003, Jamie Clark had left the USFWS to become a senior vice president for conservation programs for the National Wildlife Federation, and from that position, she testifed on behalf of DoW, the Endangered Species Coalition, Fund for Animals, Humane Society of the United States, Military Toxics Project, Public Employees for Environmental Responsibility, Public Interest Research Group, Natural Resources Defense Council and World Wildlife Fund to a U.S. Senate committee against allowing the Department of Defense to waive some EPA rules. In 2004, DoW hired Clark to be its executive vice president. DoW, for one, has been beating the drum on their Website, through mailings and media press releases that recommend to state agencies what their management plans should be. “Until Wyoming and Idaho follow in Montana’s footsteps and commit to conservation-based management of wolves, the FWS should continue federal protections for wolves in this region,” said Suzanne Asha Stone of DoW in a press release dated April 19. DoW does not like Idaho’s plan to reduce wolf populations to originally promised numbers — 10 breeding pairs. DoW as early as 1987 implemented a program to compensate ranchers for “confirmed” kills by predators. They put together a trust fund of $100,000, called The Bailey Wildlife Foundation Wolf Compensation Trust, to take some of the load off private ranchers for losses from wolves due to predator advocates’ policies. Others claim that it was a clever way for DoW to silence one of the more vocal anti-wolf groups, the Farm Bureau, who filed a lawsuit in 1994 against the USFWS’s wolf “reintroduction” program. Mader said animal damage control officers claim that confirmed kills can be 10 percent or less of actual kills, but are usually not more than 20 percent. DoW also plans to discontinue the program once the wolf is delisted. Recently, DoW wrote to a multi-generation sheep ranching family, Lawrence and Elaine Allestad, located near Absaroka Beartooth Wilderness — just north of Yellowstone Park — in Montana that they would no longer compensate their losses from grizzly bear predation because their ranch was located in the wrong place. DoW representative Minette Johnson in a Bozeman Daily Chronicle article dated April 23, 2007 by Scott McMillion said, “she’s simply the last one holding out in that country,” implying that the Allestads were the last of a number of previous ranchers who had been forced to sell out because of predator losses. The story of wolf expansion parallels the grizzly under ESA protections in the Northern Rockies. Critics charged that Mowatt had only observed wolves for a total of 90 hours, “an indictment of his research credibility and scientific commitment,” Jones said. “Never Cry Wolf” was fiction, but its pretense as science undermined the credibility of biological research itself, she said. Anthropomorphism — which ascribes human traits to non-human species — was used heavily by Mowatt, but no more than others like Disney or Aesop. Scientists, however, contend that there is no place for anthropomorphism in science. The ecology movement applied terms like “loyal,” “intelligent,” “fun-loving,” and “good parents” to wolf traits, implying they were superior to humans, Jones said. Canadian wildlife advocates adopted an “animal rights and human wrongs” view of nature, which emerged in the U.S. as Cleveland Amory’s Fund for Animals in 1967 along with others like Defenders of Wildlife. Most of these groups try very hard to dispel what they claim to be centuries-old “misinformation” about wolves. “The state governments of both Wyoming and Idaho have taken strong stances against wolves based on emotionally laden misinformation that wolves are threatening state livestock and hunting industries,” Stone said. That view is hokum, say others. “Wolves are opportunists, meaning they kill whatever is convenient. This may be old or sick animals or a pregnant female, but most significantly they prey on the young,” Mader stated. Wolves kill for food but they also kill for sport, said Nelson. “Elk and deer populations are decreasing steadily, where the wolves are spreading,” Beers said. The North Yellowstone elk herd stood at more than 19,000 before the time of the “reintroduction” in 1994. As of 2004, with not much else changed, except the addition of wolves, the herd was estimated at 8,335 animals. The winter count conducted on Dec. 30, 2006 was 6,738 elk. Montana State University ecology professor Scott Creel launched a study in 2002 to delve into the decline. To their surprise they found that elk cow’s pregnancy rates had declined and that lower levels of progesterone were present. Another side effect of the presence of wolves in elk country is that wariness levels go way up, making them much harder to find by hunters or others who just want a look, said Mike Stark of The Billings Gazette in an article dated Feb. 16, 2007. Other alleged historical “misinformation” concerns the dangers of wolves to humans. Claiming that centuries-old European stories of wolves attacking humans is nothing more than fear-based mythology, deep ecology groups using the new mythology of Mowatt and others contend there is nothing to fear. Will Graves, who has traveled extensively in Russia, is writing a book on the history of wolves in Russian literature in recent centuries. The great Canadian wildlife biologist Dr. Valerius Geist is editing the book for him. He claims that church documents back this up and that they’re one of the most reliable forms of documentation. “Centuries-old reports (churches, archives, etc.) of high rates of human life lost to wolves in Europe, Asia, and North America are ignored, demeaned and rejected by bureaucrat biologists, and all their partners in universities and the media,” Beers said. Graves’ research shows that wolves lose their fear of humans if not hunted. His plea is to drive the decision-making for land planning to much higher levels — out of local hands. 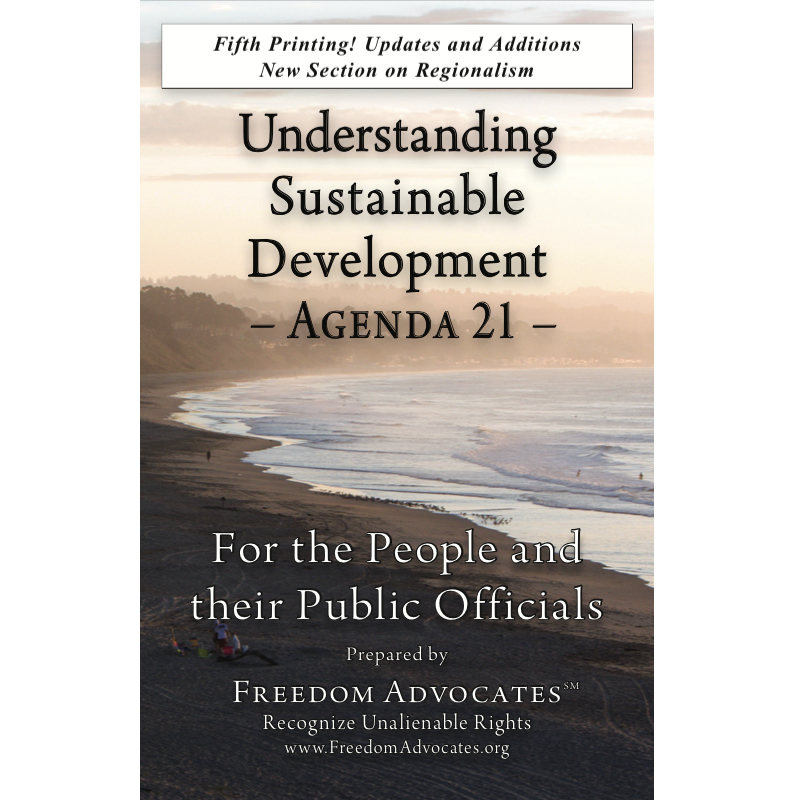 Actually, there is a plan to do just that called the Wildlands Project, part of the U.N.’s Convention on Biological Diversity, which together with Agenda 21, a global plan for sustainable development, supersede the U.S. constitution and the property rights of its citizens. The map of Idaho, Montana and Wyoming, which is envisioned by these global planners can be viewed here. A map of the whole U.S. showing these plans was developed by Dr. Michael Coffman and was used to stop the ratification of the U.N. treaty by the U.S. Congress. Subsequently, the plan was essentially put in place by Executive Order 13158 of President Clinton and later President Bush did not revoke it. So what does this have to do with wolves? Finnish outdoorsman Magnus Hagelstam, who has studied the European Union’s efforts to “reintroduce” wolves in eastern Germany and other parts of Europe, said, if depopulating the West is on the agenda of wolf aficionados, wolves can be very helpful. Mike Satren, former Outdoors editor for Hagadone News in North Idaho, is a freelance photographer/writer and NRA firearms instructor. Email mike@satren.net.